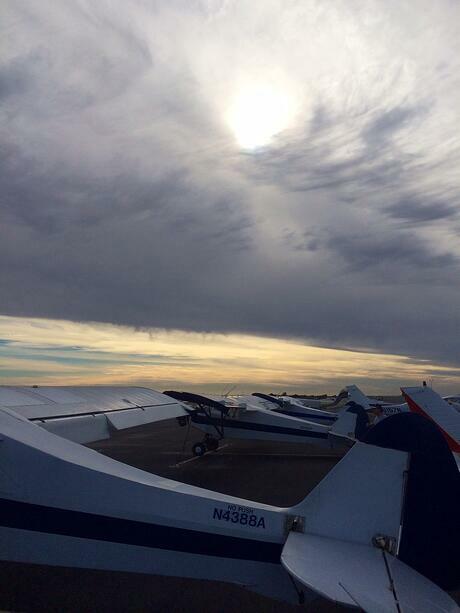 Our blimp and airplane advertising pilots delivered breathtaking pictures from Glendale and Scottsdale. 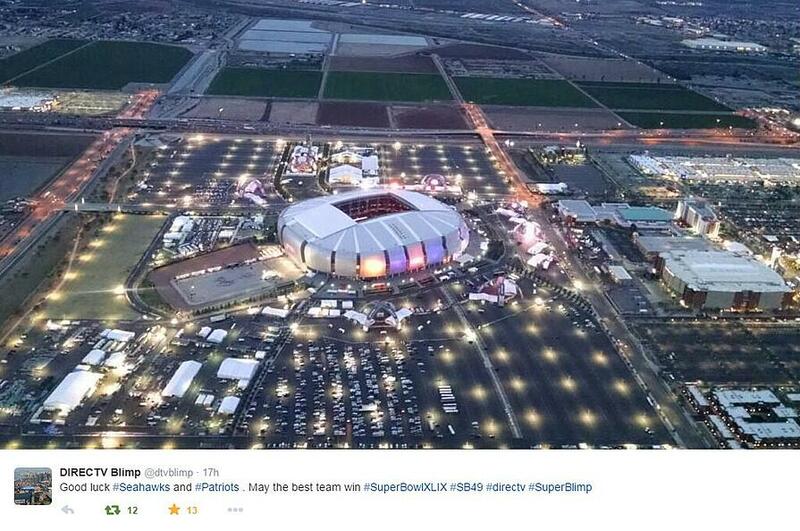 Here are our top 5 aerial photos from Super Bowl week. 1. 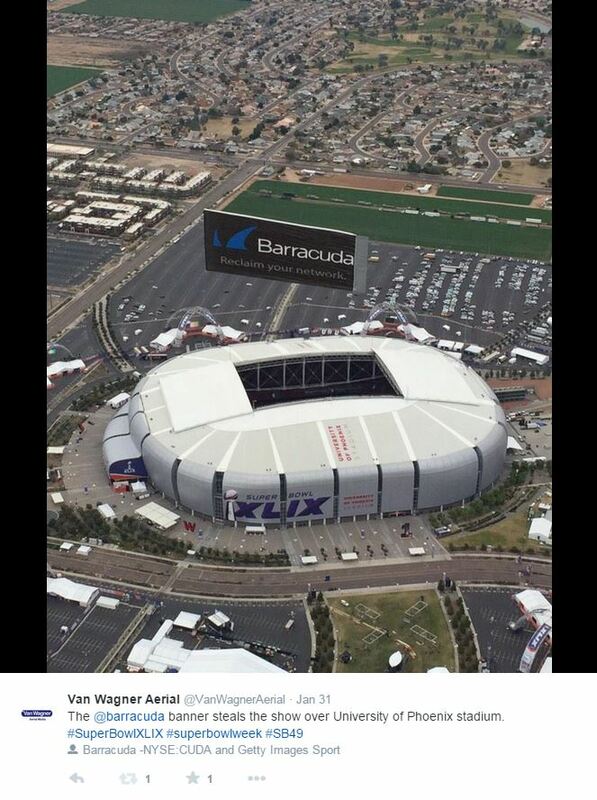 The eye-catching 40' x 80' Barracuda banner makes a big statement over University Of Phoenix Stadium. 2. The MetLife blimp gets into the action as well. 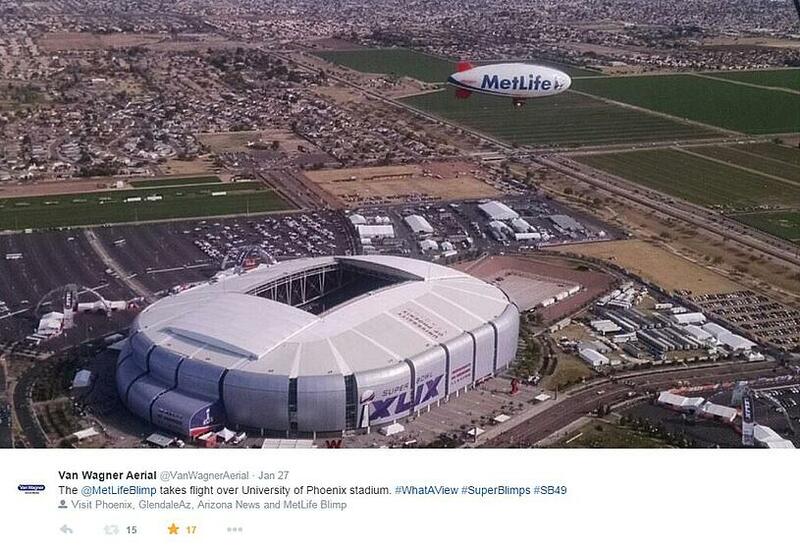 The MetLife blimps, Snoopy 1 and Snoopy 2, make regular appearances above the biggest sporting events of the year. Known for their coverage of golf tournaments, the MetLife blimps also fly NFL games, MLB games, and outdoor conventions. These iconic airships are some of the most recognizable blimps in the world. 3. 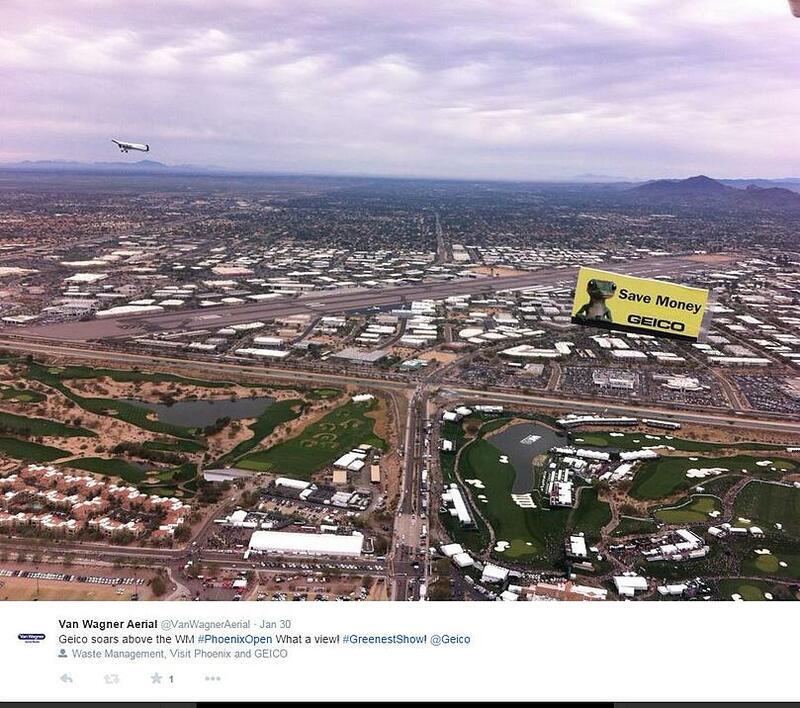 The Geico aerial banner takes flight over the Waste Management Phoenix Open. 4. 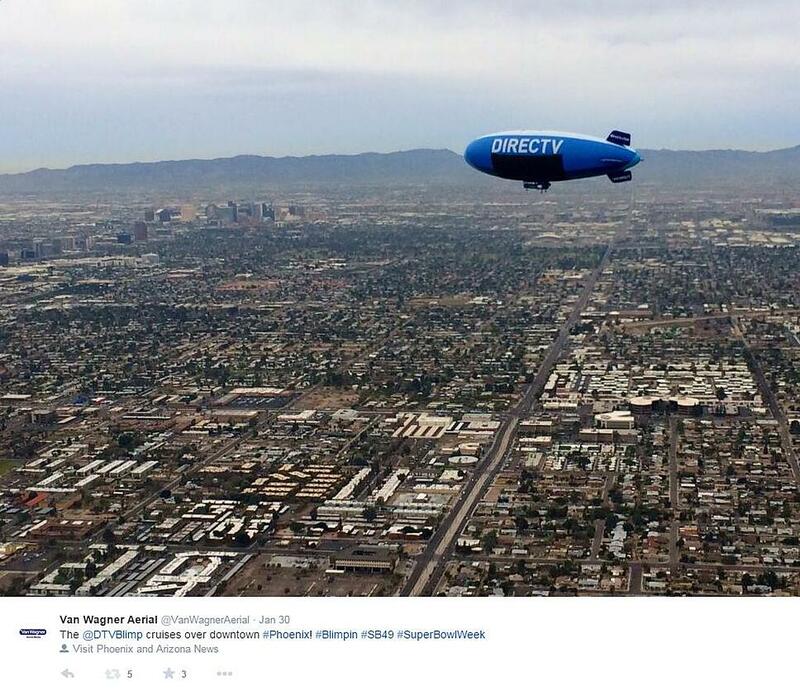 The DIRECTV blimp gets the lay of the land over downtown Phoenix before the big game. 5. It's game day! Picture taken by the DIRECTV blimp just a few hours before kickoff! The DIRECTV blimp's presence at major sporting events amplifies the excitement on the ground below. 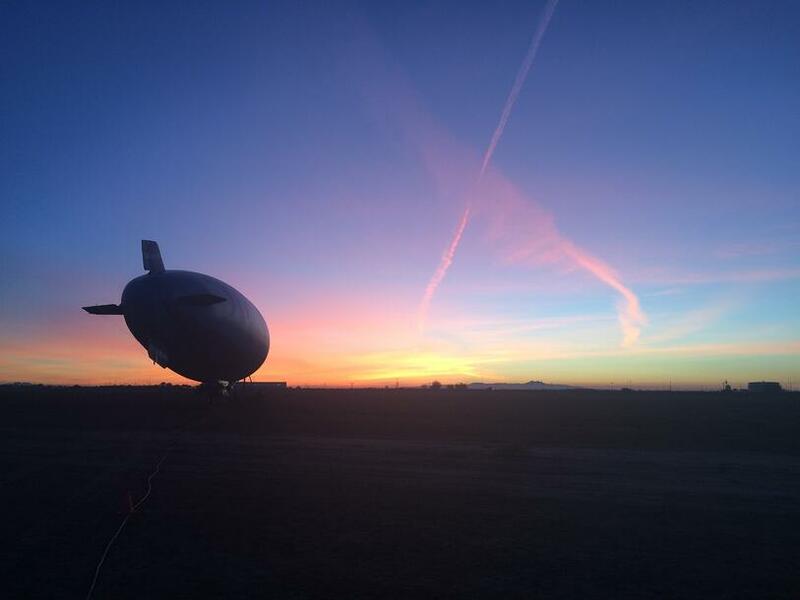 Commonly seen flying in the Northeastern portion of the United States, the DIRECTV blimp made its way westward in 2014, making appearances over the MLB World Series in San Francisco, CA and other notable events. See you next year, Super Bowl! Want to learn more about Van Wagner Aerial Media? Contact us today for more information. To learn more about aerial advertising, download our free e-book, "Why Aerial Advertising? How Your Company Can Benefit." Click the button below and we will send it your way!